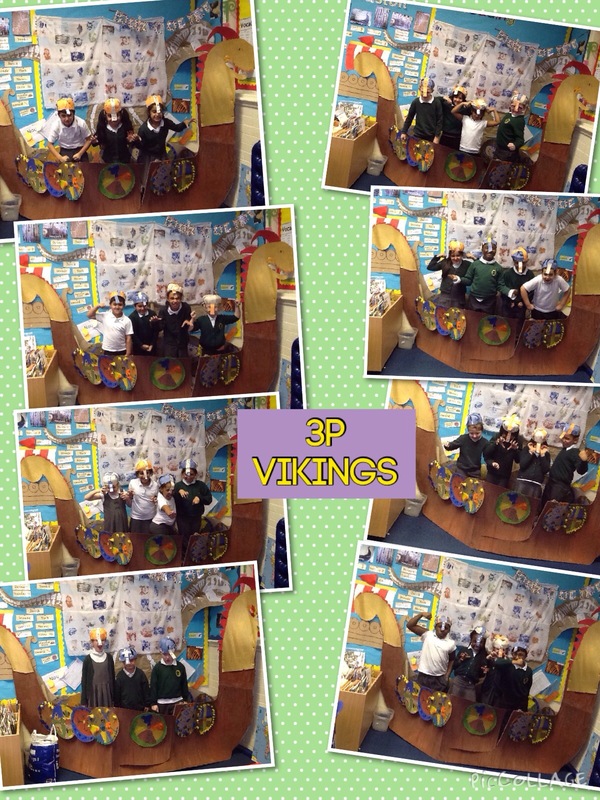 We have finished our Viking topic. 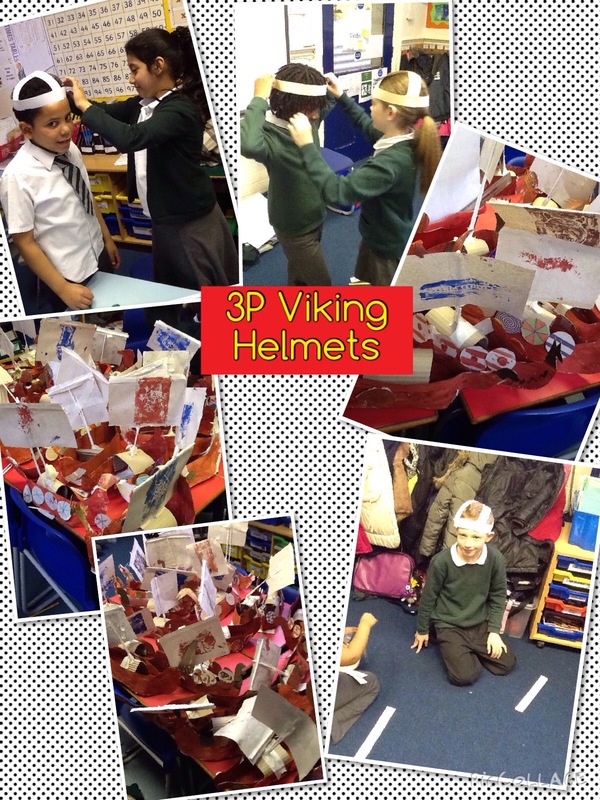 During this topic we have had lots of fun learning about the history of the Vikings. 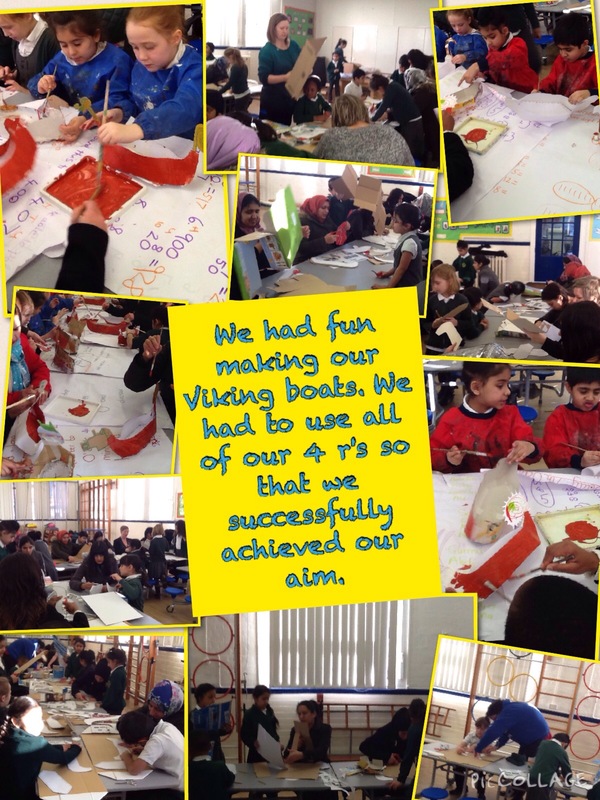 We worked together and used our relationship skills to build a huge Viking ship. 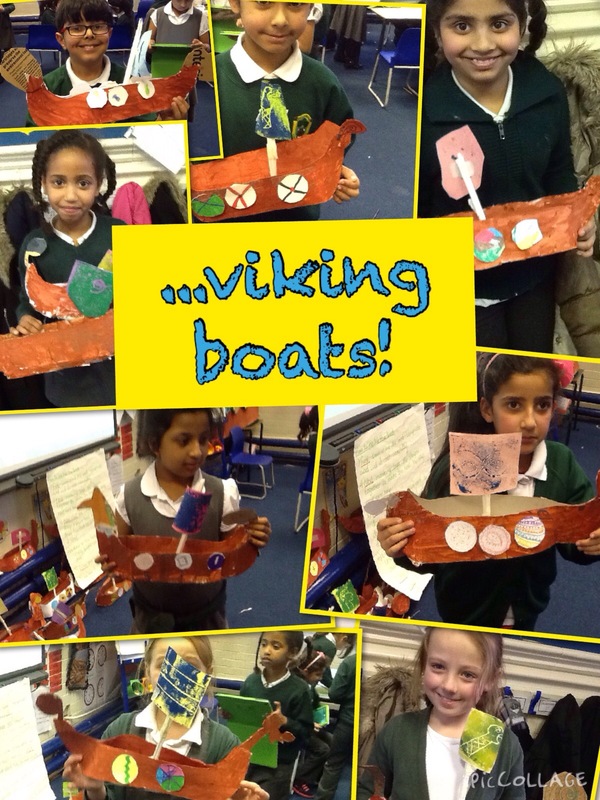 We have made some Viking hats today and also finished our ships. 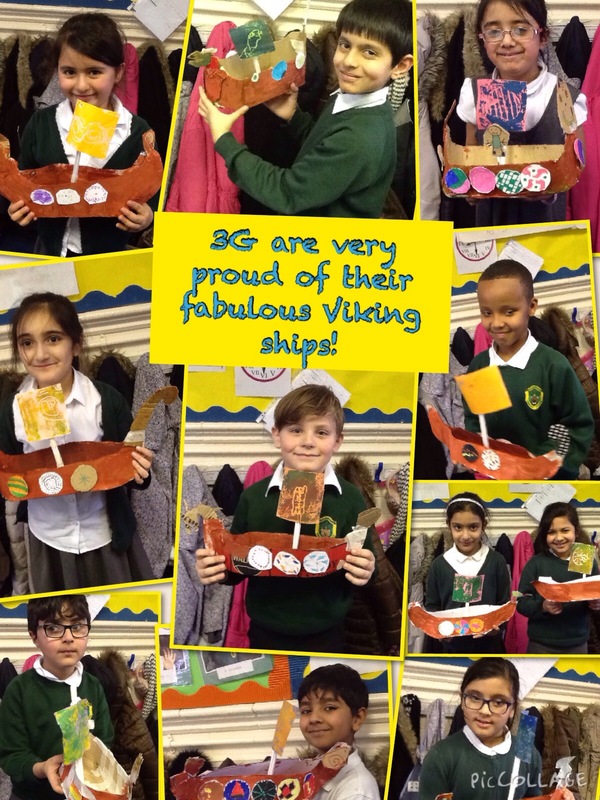 Have a look at our finished Viking ships and we will put some more photos of our helmets and our huge ship in our classroom. 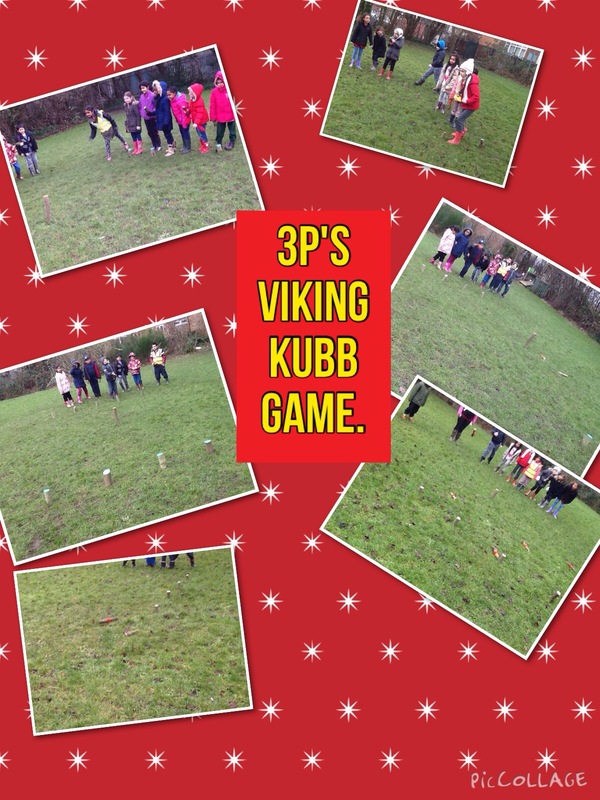 Forest school today was really fun because we got to play a Viking game called Kubb. We had to split into 4 groups and we had to throw sticks at the opposite teams clubs and knock them over, if we did we got to keep the club. The idea of the game was to knock all of the clubs over and eventually knock the king over. We really enjoyed this Viking game and we made sure we used our relationship power to shake hands with the winners. 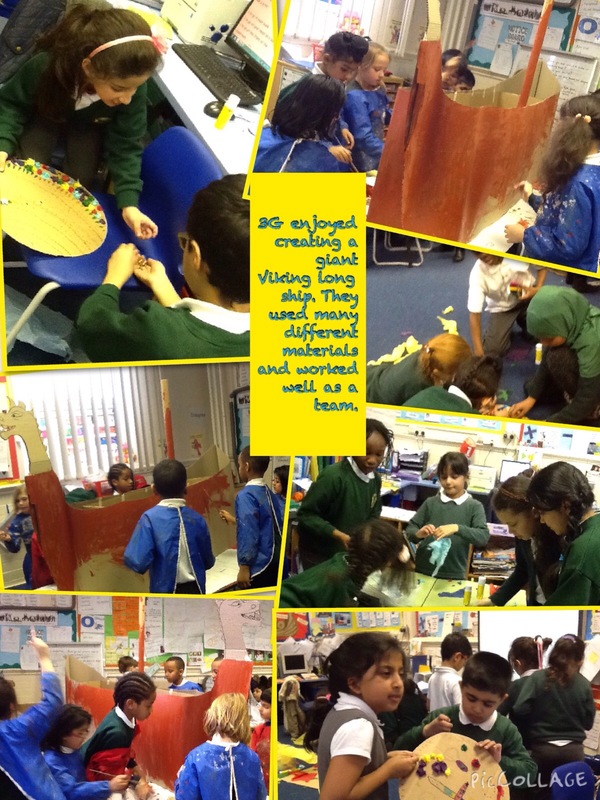 This morning we have had a fantastic and creative time. 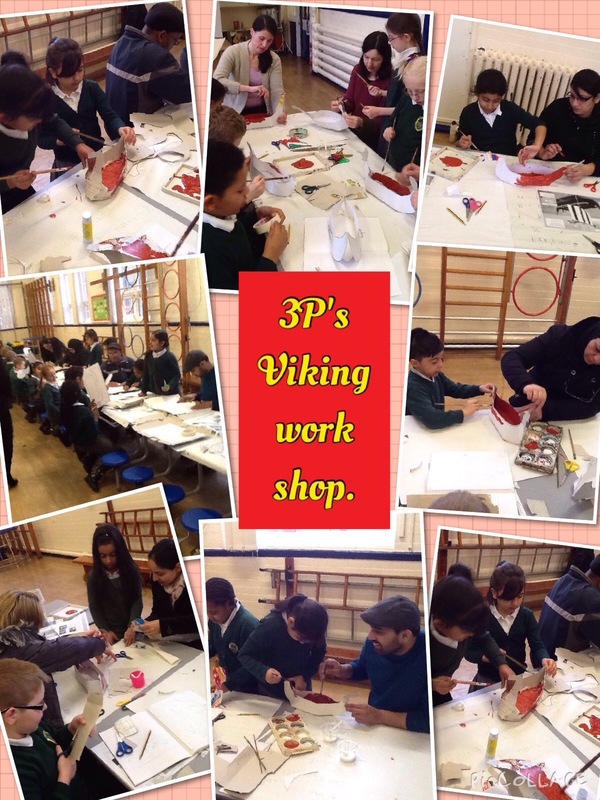 We invited our parents into school to help us make Viking longships. First we had to cut out the design on cardboard and stick it altogether. Then we carefully painted our longships. Next we cut out and attached the shields and figure head, we decorated these using our designs from our creative books. 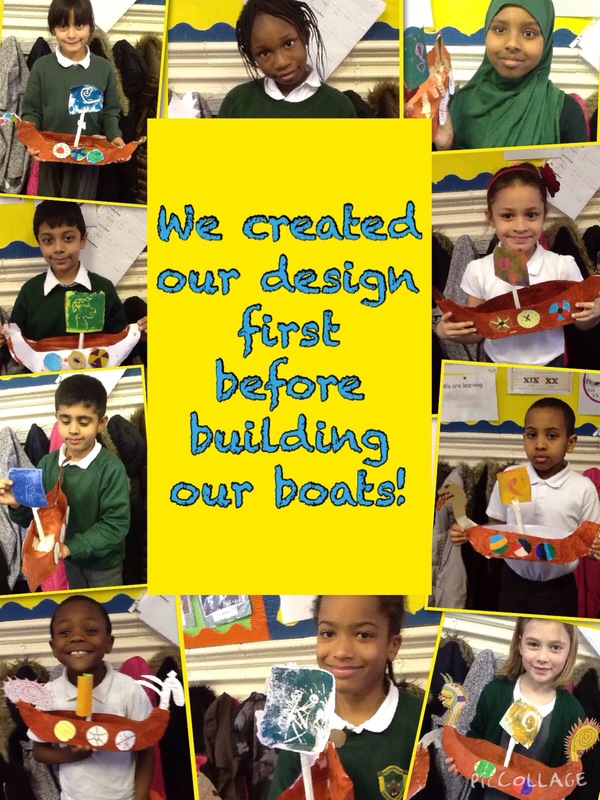 We have had a fun morning and hope you like our longships.